At a time when the row over assignment of cases in the apex court and role of Chief Justice Dipak Misra still rages following the press conference by four senior-most SC judges, a petition has been filed in the supreme court seeking a mandamus to the Registrar of the Supreme Court to evolve a procedure for constituting benches and allotment of jurisdiction to different benches. Significantly, admitting the petition, Chief Justice Dipak Misra who heads a bench also comprising of Justices D Y Chandrachud and A M Khanwilkar said after hearing brief arguments from petitioner Ashok Pande, a Lucknow-based lawyer: “OK. We will pass orders”. The petition also seeks a mandamus to the Supreme Court Registrar to have a specific rule in the supreme court rules that the three judges bench in chief justice shall consist of the chief justice and two senior most judges and the constitution bench shall consist of five senior-most judges or three most senior and two junior most judges. All the judgement should be dictated in open court and if are being reserved for any reason, then should be dictated in the joint sitting of all the two, three ,five or seven judges. This sitting can be organised at any place including the residence of any judge or in the high court itself. All the judges are having equal rights , authority and privileges and so the practice of saying that the bench headed by judge A B or CD should come to an end. 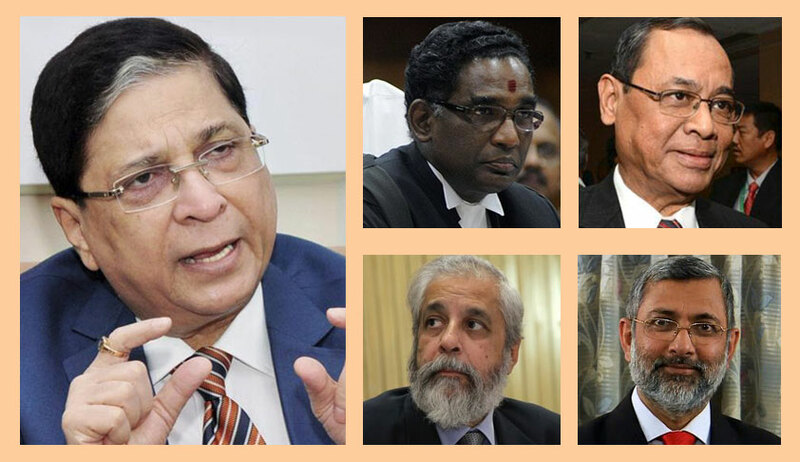 The four senior-most judges Justices J Chelameswar, Ranjan Gogoi, Kurian Joseph and Madan B Lokur had in the historic press conference on January 12 this year questioned the manner in which CJI allocated cases “selectively” to “benches of his preferences”. Though the master of roster, he is only ‘first among equals’ and not a superior authority. But he behaved like one, they alleged.